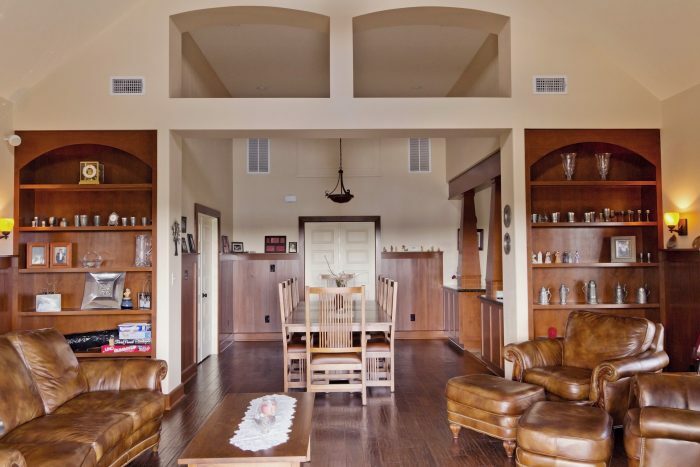 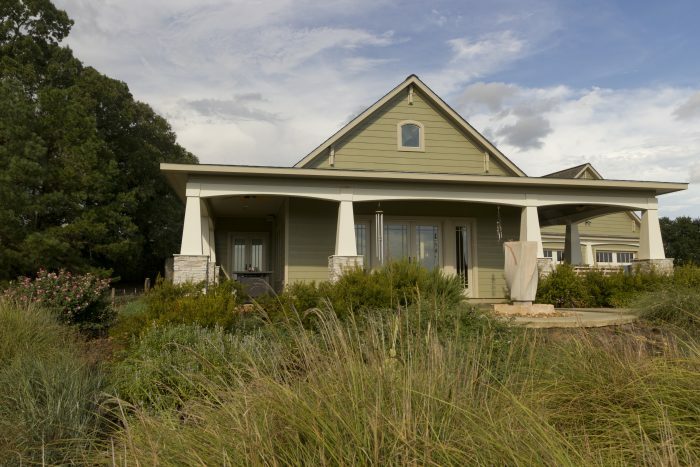 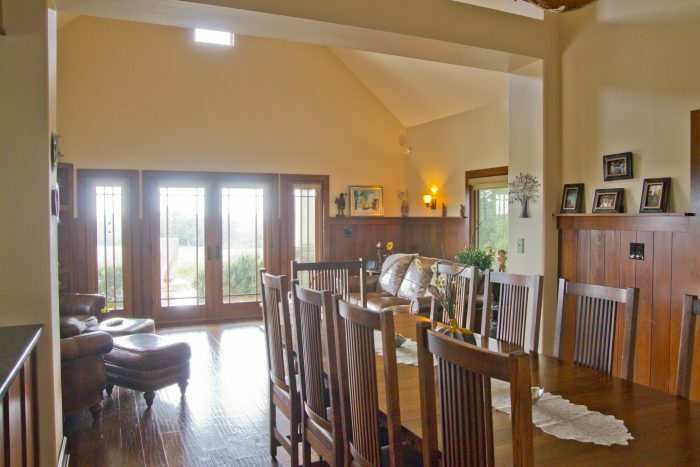 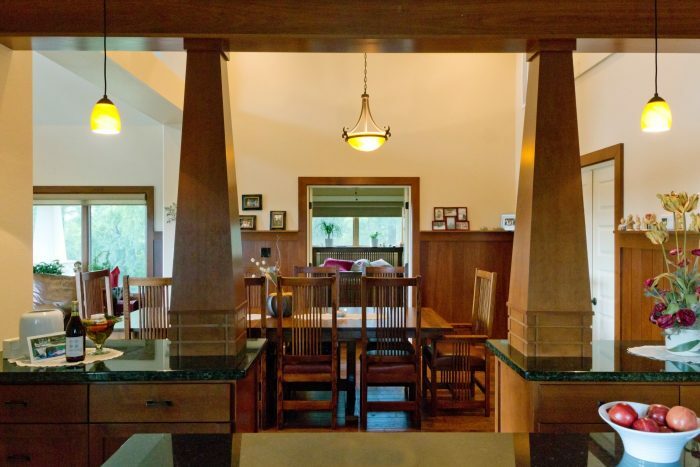 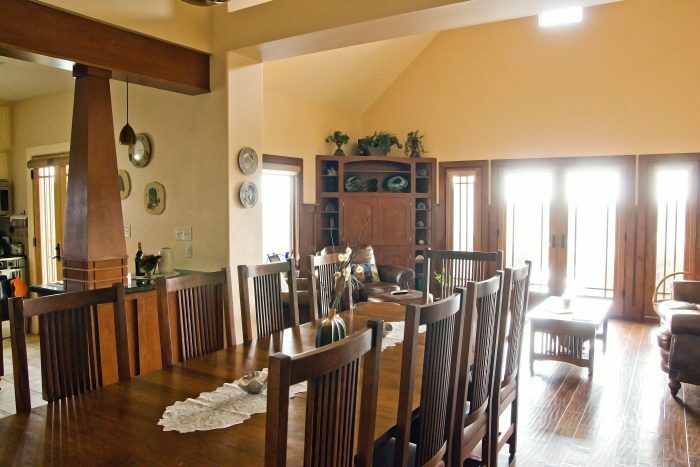 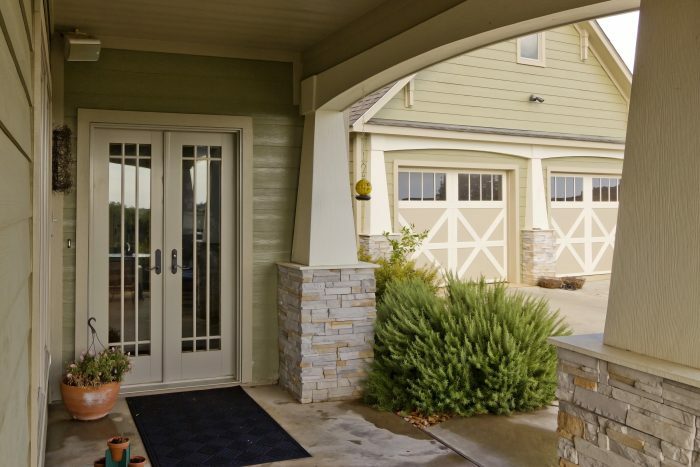 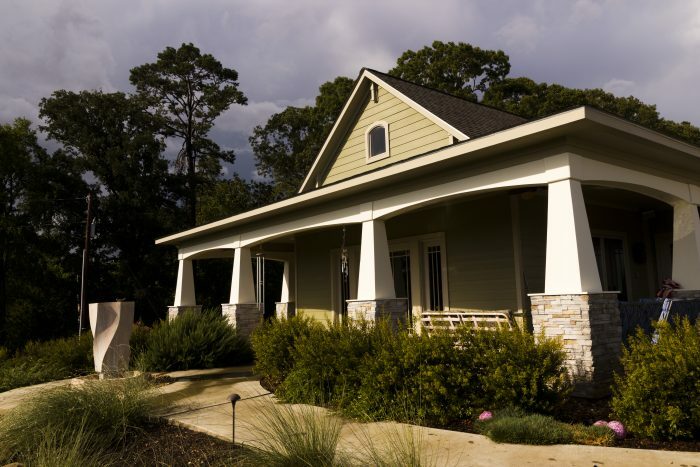 This house was designed in the Craftsman style as a small weekend retreat. 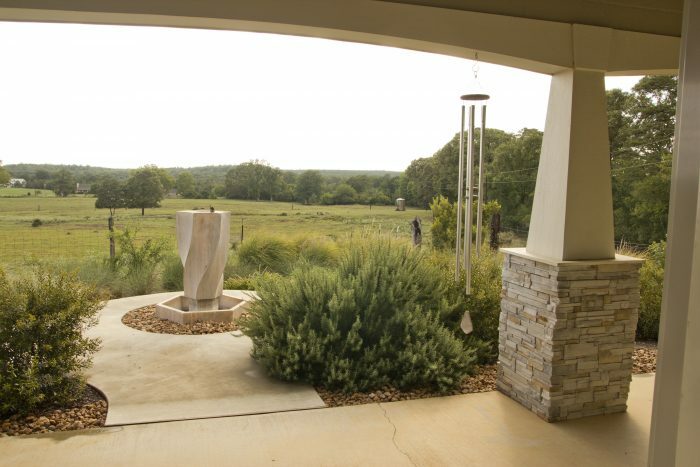 The openness of the interior spaces and the high ceilings give a spacious feel to the living areas, while comfortable porches take advantage of pastoral views from every direction. 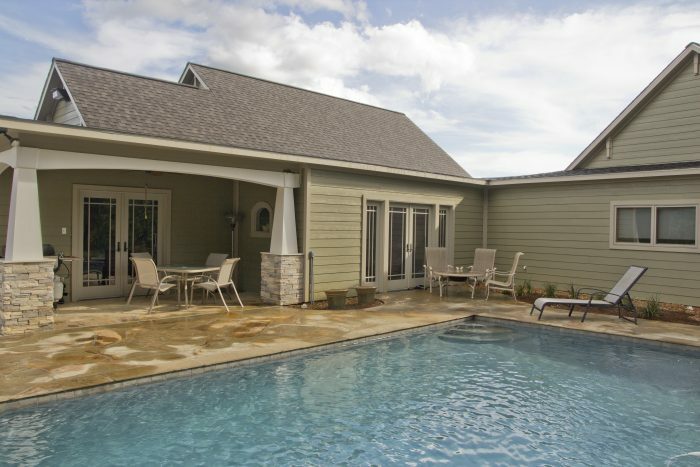 An addition was added to the back of the house two years later when the owners decided to make it their primary residence.